Before the advent of smartphones, there were patches, pills and gums that could replace cigarettes if you wanted to kick the habit. Today, all you need to do is to download an app and you can get electronic help right away. Quit smoking applications can effectively keep track of your smoking cessation progress, but it remains an incredibly difficult endeavor. Since the craving for cigarettes can’t be instantly stopped, why not savor the flavor of a good cigar instead? That’d be fewer, yet better quality smokes. Acid Cigars offer a premium smoking experience for those who don’t wish to go completely cold turkey. 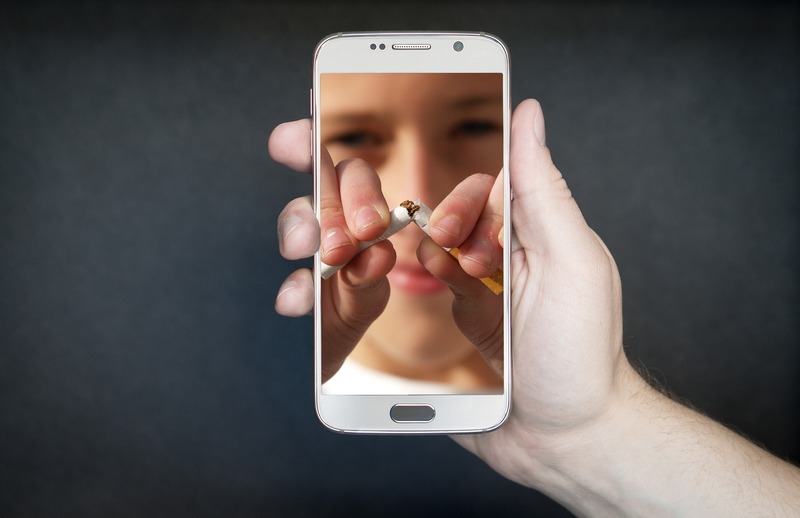 Here are 5 of the best apps to help you gradually reduce the number of cigarettes you smoke and finally quit. With Quit Smoking, you get a customized, step-by-step program that takes into account your smoking statistics and pattern. The app takes off one stick at a time to gently ease you into a smoke-free lifestyle. Quit Now! motivates you to stop smoking by providing encouraging stats in a positive reinforcement method. You get details such as Last Time Smoked, Money Saved, Cigarettes Avoided and Number Of Hours Added To Life. Sounding more life an exercise than an app, KickSmoking sports an attractive layout while giving you useful information such as Last Time Smoked, Money Saved and Health Benefits you should be getting. Moreover, it has the Crave Timer, which helps with the cravings you experience as you try to lead a smoke-free life. iQuit is the app that has an assisted “Scheduled Reduction” method, which measures time intervals for when you can have your next fix. Users can set their own reduction rate and goals accordingly. Stop Smoking is a mindfulness meditation app to help with withdrawal symptoms and nicotine addiction. It may be able to help reduce general anxiety, stress and other issues that come with trying to stop smoking. Within the app you’ll find excellent meditation techniques to calm you down and lead you to a better alternative.